Despite the skeptics, there is a rising agreement in the scientific community that small amounts of pesticides and other chemicals have negative effects on health. While it may seem like the organic food movement became popular over the past two decades, it is actually a much older concept. Everyone ate organic fruits and veggies before World War II, because all crops were organic. It was after that when many farmers started "conventionally" growing crops: spraying them with new, synthetic pesticides and chemicals to reduce weeds, insects and rodents. Now many of us enter the produce section with some confusion, as we are offered every fruit and veggie grown in two very different ways. What's the Difference Between Conventional and Organic Foods? Conventional foods differ from organics in several ways, including the use of chemical versus natural fertilizers (i.e., compost) to feed soil and plants. Conventional farmers also use synthetic herbicides to manage weeds, while organic farmers use environmentally generated plant-killing compounds. 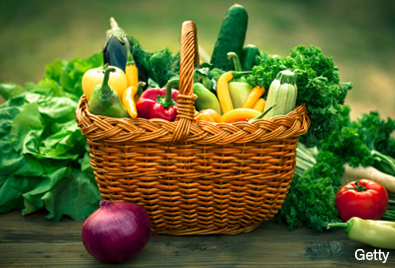 Therefore, organic produce has significantly fewer pesticide residues than conventional produce. The USDA organic regulations also ban the use of food additives, processing aids, and fortifying agents found in conventional foods, like artificial sweeteners and coloring, preservatives and monosodium glutamate. Global organic food sales have skyrocketed from a total of $1 billion in 1990 to $29 billion by 2011. However, those numbers only represent about 4.2 percent of all food sold in the U.S. during this time period. And as more and more people buy organic foods for their health benefits, these foods often get a bad rap for higher costs. In the conversation over benefit vs. price, some studies reveal doubt around organic foods truly having significantly higher nutritional benefits than conventional foods. Despite the skeptics, there is a rising agreement in the scientific community that small amounts of pesticides and other chemicals have negative effects on health. Pregnant women and mothers should especially be aware because studies show fetuses and young children may be more negatively affected by harmful exposure to low levels of pesticides. When deciding which foods to buy organic, potatoes are a must. Most conventionally-grown have one of the highest pesticide contents among fruits and veggies. 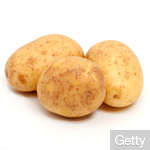 The USDA discovered 81 percent of potatoes tested in 2006 contained pesticides even after being washed and peeled. When animals are conventionally raised, they are fed growth hormones and medications to fight disease and speed growth, which inevitably end up in our hamburgers and our bodies. The hormones push cows' estrogen and testosterone levels unnaturally high. In turn, those hormones can possibly have strong effects on our natural body processes. 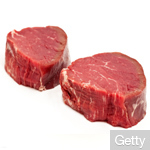 The European Union actually banned all hormones in beef. On the other hand, organic farmers try to match the natural behavior of animals and permit access to the outdoors. To reduce diseases, organic farmers take measures like rotational grazing, clean housing, and organic balanced diets with no animal by products. To increase the quantity of milk produced, cows raised conventionally are given rBGH (recombinant bovine growth hormone), which is banned in the European Union and Canada, among others. 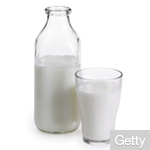 While there is no solid scientific evidence rBGH can harm us, it may benefit us to drink milk free of rBGH given the American Cancer Society has determined the potential harm to humans is inconclusive and rBGH can cause adverse health effects in cows. Apple peel is one of this popular tree fruit's healthiest parts, offering phytochemicals that can reduce risk of cancer and heart disease. 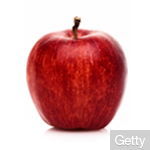 Unfortunately, the peel is where pesticides accumulate, putting apples at the top of the organic foods priority list. 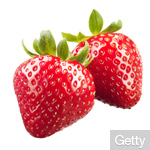 Do you wonder why the conventional strawberries sometimes appear a bit brighter in color than their organic counterparts? It's because some of them are enhanced with a substance containing the contaminant fungicide captan. Plus, conventional strawberries with the most pesticides are often the imported ones because pesticide restrictions are not always the same in other countries. While spinach and kale offer many nutrients with very low calories, they are often sprayed with more than 20 kinds of pesticides before being tossed in our salads and cooked in our omelets. 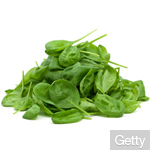 A USDA study found 58 pesticide residues are usually contained in spinach. Peaches, while juicy and delicious, are high on the list of tree fruits for being the most susceptible to pesticide residue, and usually contain levels above the legal limits. 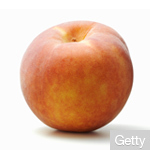 Contaminants in peaches are fungicides captan and iprodione, which have been linked to cancer. Production of conventional foods may cost the planet a whole lot more than a few extra bucks at the grocery store. Overtime, pesticides and herbicides used in the harvest of conventional foods contaminate groundwater, promote erosion, and destroy soil structures. Plus, they can threaten the U.S. food supply by contributing to "colony collapse disorder," or the mysterious die-off of pollinating honeybees. While it is beneficial to our health and planet to buy organic foods as much as possible, it can be hard to dole out the extra cash, especially during slower economic times. If it is just not in the budget, don't fret. The Environmental Working Group, a nonprofit that advocating for policies to both individual and global health, created a list of produce called the "Clean 15," which are your safest choices. They have the smallest pesticide load and the safest conventional foods to consume. Some of the foods include mushrooms, pineapple, avocado, asparagus, and sweet potatoes. Remember, it is important to keep plenty of fruits and veggies as part of a balanced diet, and not to sacrifice the benefits of eating fruits and veggies for the risk of pesticide exposure. Focus on going organic when it fits into your life, especially focusing on the foods you eat most often and high-pesticide foods, including BuiltLean's top seven. For more articles and videos, visit BuiltLean, or join the conversation at our Facebook page. For more by BuiltLean, click here.